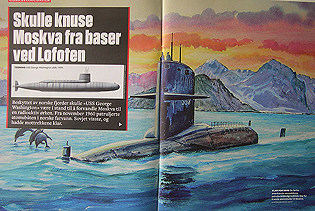 This colourful painting was commissioned by the Norwegian magazine VI MENN to illustrate an article (issue 19, may 2016, see below). The original artwork is now for sale. 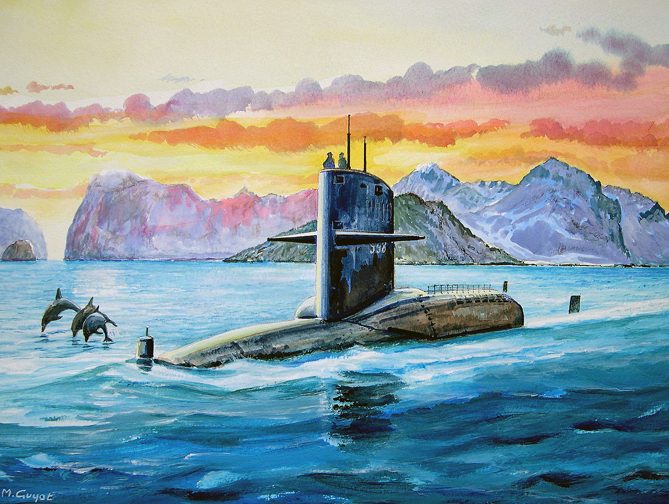 The artist has depicted USS George Washington submarine in the Lofoten Islands, Norway, in the early sixtees. USS George Washington SSBN-598 is a George Washington class nuclear-powered ballistic missile submarine in commission from 1959 through to 1985.